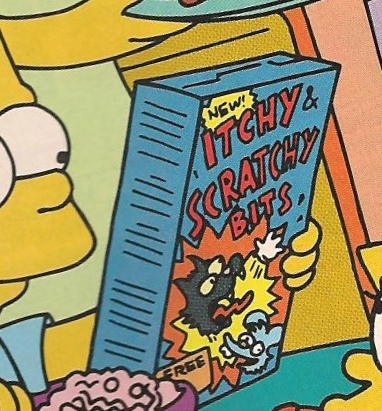 Itchy & Scratchy Bits is an Itchy & Scratchy cereal. Bart Simpson read the box while he was eating a bowl of the cereal at breakfast. Modified on October 2, 2016, at 14:37.